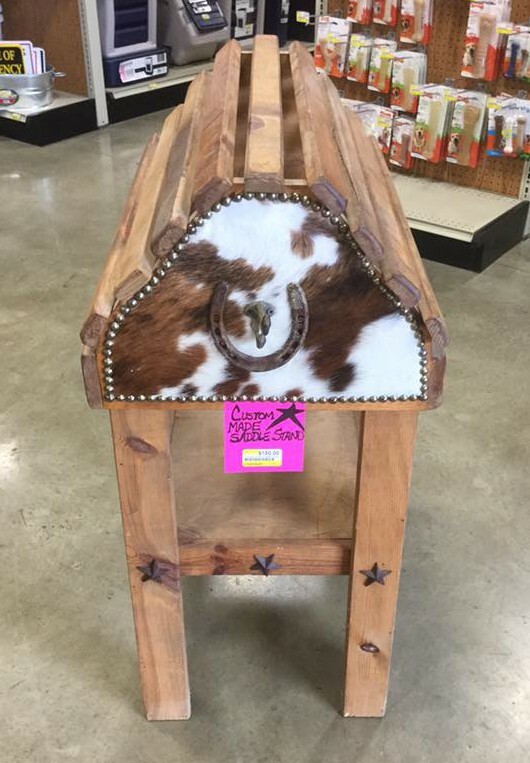 Argyle Feed has unique handcrafted gifts for your Holiday wish list! 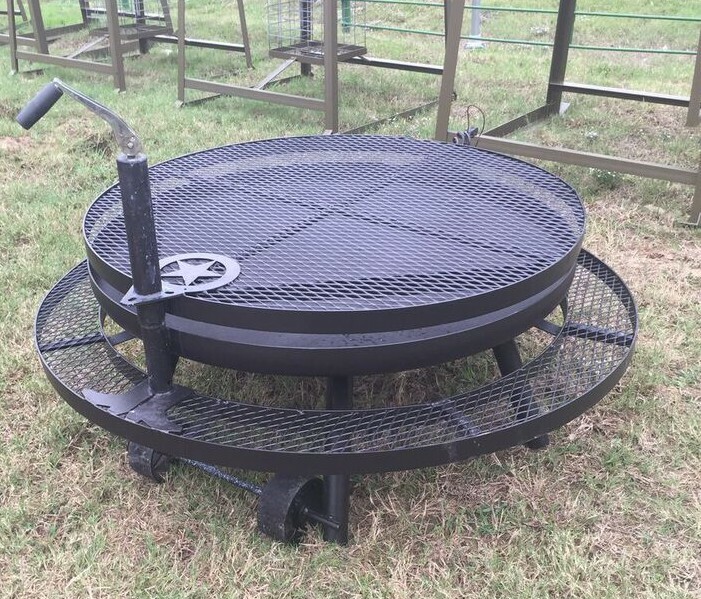 Check our one of our newest items— handforged iron fire pits! 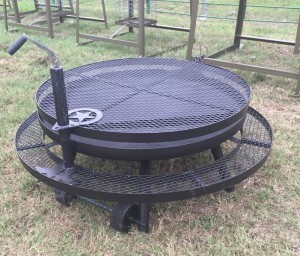 These ranch-sized firepits are transportable for easy moving around the pasture, lake house or deer lease. 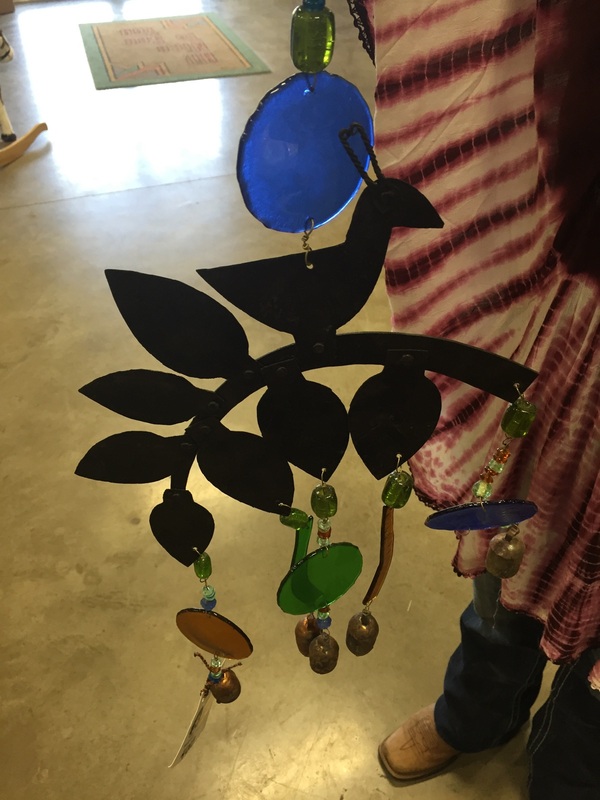 These one of a kind windchimes are handcrafted by a local artisan in rustic iron and glass— no two are alike! Carefully created to produce a pleasant chime, these windchimes are a perfectly thoughtful gift idea for brightening up a patio or balcony. Display your saddle and tack on this one-of-kind saddle stand— crafted for sturdiness and durability and adds an authentic Texas touch wherever you show off your saddle. Features brass nailheads, real calfskin and wrought iron accents. Each stand is unique! Our handcrafted gifts are just a few of our favorite Holiday gift-giving ideas you’ll discover at Argyle Feed…we also carry Case and Gerber knives, garden decor and flags, DeWalt Tools, Lodge Cookware, Traeger Grills and more. And, of course, if you really just can’t decide on the right gift, we have Argyle Feed gift cards, too! You just never know what you may find at your favorite feed store in Denton County! This entry was posted on Wednesday, December 2nd, 2015 at 3:23 am	and is filed under News & Updates. You can follow any responses to this entry through the RSS 2.0 feed. Both comments and pings are currently closed.